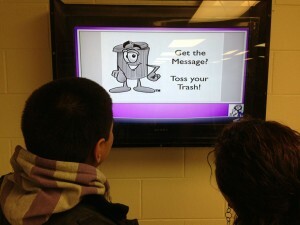 To hear more about StrandVision’s digital signage solutions for your school, college or university, visit www.StrandVision.com or call 715-235-7446 (SIGN). Are you excluding thousands of potential viewers and customers from your screens by ignoring the role of colour? You could be, if you haven’t realised just how common colour blindness is – and just how easy it is to make your digital signage or digital out-of-home content more accessible. When we consider accessibility, many of us still conjure up images of making the physical environment accessible to people with disabilities – ramps, handrails, wheelchair spaces and the like. This entry was posted in Uncategorized and tagged digital advertising, digital signae solutions, digital signs. Bookmark the permalink.